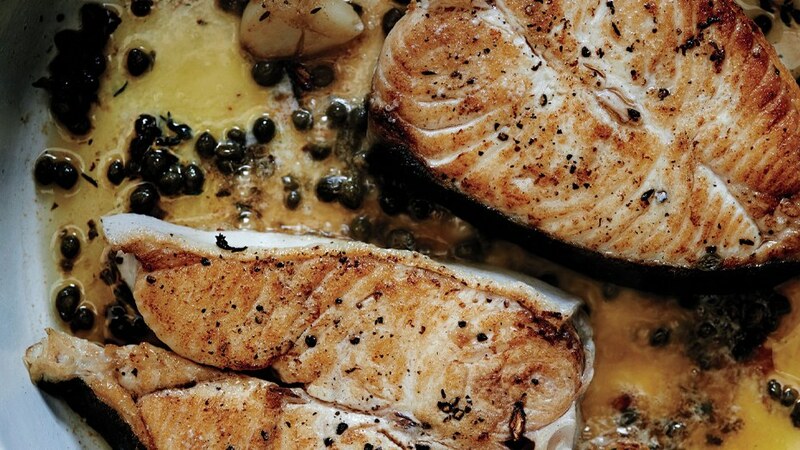 These butter-based halibut steaks with capers are seared quickly for a flavorful, golden crust. Get the pan smoking hot so the halibut won’t stick. Let it get a good sear on the first side, which will also help it release.